21335 place | Vector illustration in rank M-rank: vector illustration of coffee bean pattern including seamless on white background. sketch of coffee beans. Hand drawn coffee beans vector. vector illustration of coffee bean pattern including seamless on white background. 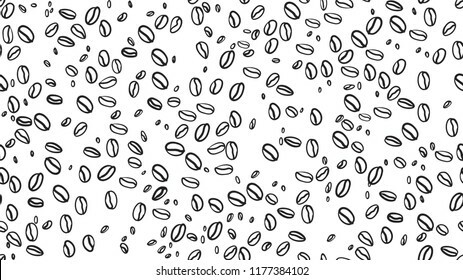 sketch of coffee beans. Hand drawn coffee beans vector.